Some of my fondest memories as a teen involve going to the movies with my friends. Those times we had our parents drop us off when we were too young to drive ourselves. Or the times my boyfriend, now husband, took me to see every Lord of the Rings movie at midnight on opening night. Now I have kids of my own and one already a teen. Going to the movies with teens is way different than going with your little kids. 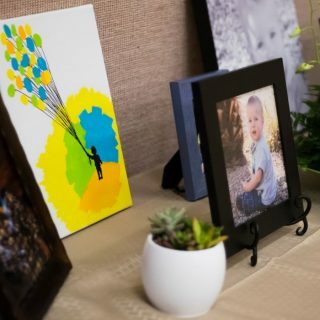 But, whether you’re taking your littles or your teens, I’ve found a few great movie theater hacks to make your movie-going experience that much more memorable. Reserved seating– This feature is an awesome new movie theater hack. 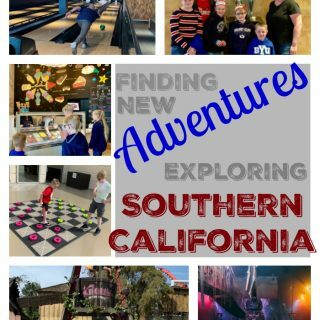 We went to the movies with the kids a few weeks ago to see a newly released movie. The theater was packed. We couldn’t find 5 seats together and ended up putting the 3 kids together and then we found 2 somewhere else. It made it difficult to share the candy, popcorn and soda we had. With reserved seating, you don’t have that problem. You buy your tickets online and choose where you want to sit. That way you get your favorite seats and you’re sure you all get to sit together. 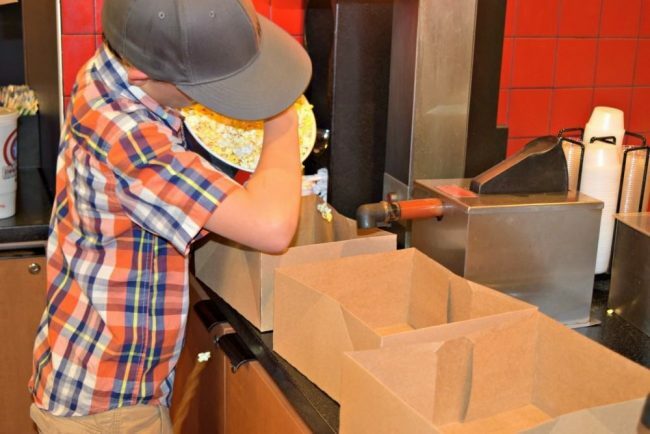 Divide popcorn– Probably the best movie theater hack to limit fighting, is by dividing the popcorn. In my family, some like butter on their popcorn while others do not. My dad even likes to flavor his popcorn. It’s not very cost effective to buy everyone their own popcorn, though. There is a simple solution to this predicament. My mom used to bring large Ziploc bags to divide the popcorn up. Now, AMC theaters have these cool boxes you can grab. Just divide your popcorn into different boxes and everyone can have it the way they like it. No fighting or complaining involved. Choose your own drink– AMC has created a great new drink station where they have placed those cool new Coca-Cola Freestyle machines. The free standing soda machines are a neat movie theater hack because they have so many options to choose from. Not only do they have all the regular sodas that you love, but they also have them with flavor mix-ins. You can mix and match until everyone is happy with their drink choices. 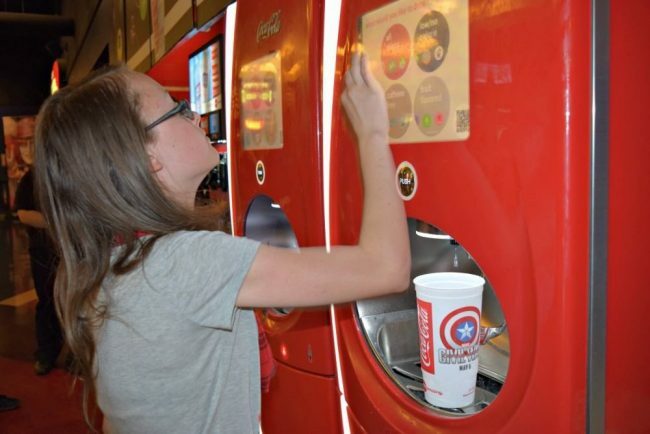 The best part is, AMC has put them out there so you can refill your drink as many times as you want from the slushy machine or the Coke Freestyle machine. Hurray for free refills. Let your teen see something different– Heaven forbid we make our teens watch a movie that is “uncool” or “for little kids”. The great thing about teens is they can go see something different and it’s not a big deal. I went out on a girl’s night with one of my friends and took my daughter along. She didn’t want to see what we were seeing because it was a sequel and she hadn’t seen the first one. To solve that problem, we invited one of her friends along and they went and saw something different. Both movies let out around the same time and everyone was happy. Use a discount or see a matinee-. Most theaters offer discounts for various things. They have the Senior, Student, and Military discounts. They also usually offer movies at a better price if you see a matinee showing. Typically, that is before 4pm. You will need to check with your local theater, but if you take your family to a matinee, you can save quite a bit of money. Save Money with a promo code– AMC and Coca-Cola are working together to provide a special offer for teens between May 2nd and June 12, 2016. This offer is for families with teenagers. This exclusive coupon gets your teen a 21oz fountain drink and a 53oz popcorn all for $5. 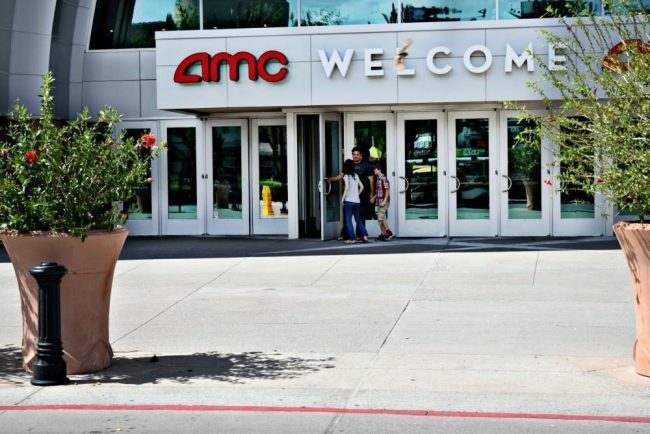 So kick off summer break right, by dropping into an AMC Theater with your teen, to see one of their great new releases and getting an awesome deal on concessions. To make the summer teen deal even sweeter, we have partnered with AMC and Coca-Cola to host a giveaway for free movie passes! Enter below for your chance to win 2 free movie coupons. 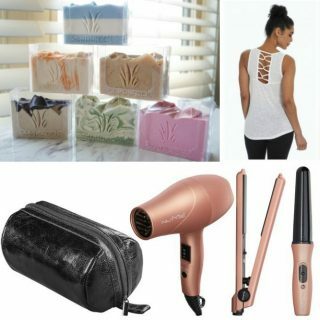 There will be 5 different winners chosen. That means you have 5 chances to win 2 tickets for your next movie going adventure! 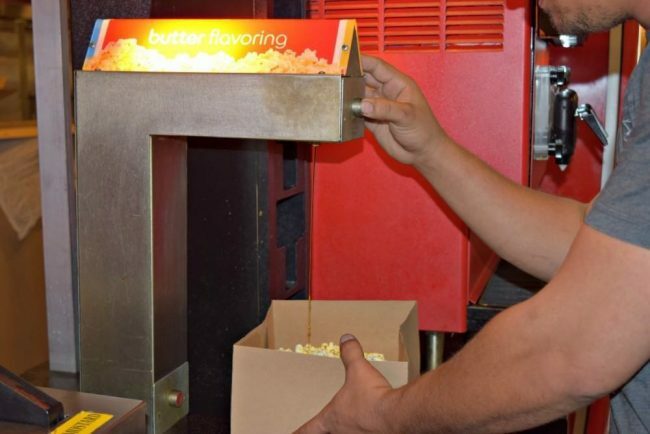 What are your favorite movie theater hacks to get the most out of your experience? I love buying the reserved seats. I’ve found that it really helps to get the best seats if you do buy them a few days in advance. As much as I love going to the movies, I usually wait until the movies I want to see are available on Netflix or other streaming services because it just costs so much, between the tickets and the snacks (gotta have snacks, right?). Thanks for the giveaway! We want to take our little guy to see Finding Dory. My daughter loves it when I take her to the movies! Thanks for the chance to win passes! I had no idea they have soda machines/free refills! I want to take my grandson to see Angry Birds. I go to afternoon movies and Tuesday discount might. Now you can go whenever with your passes you just won! We love going to the movie! 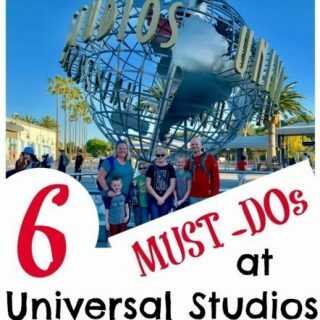 During the summer, my teen daughter and I go about once a week! 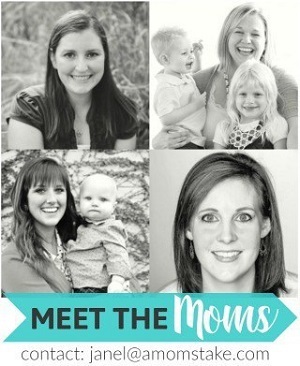 We love taking our sons to the movie! Anything that sparks our imagination! We usually hit the first showing since it is cheaper! Cinemark theaters also have a refillable cup and popcorn bucket that you can use over and over again and only pay $3.50 (I think) for the refills. Wish they would get the choose your own drink dispensers like AMC since they are the only ones around here. I have to wait until I’m visiting my sister to go to an AMC theater! I would love to take my mom to see a movie. That would be a real treat! Lucky you! Looks like you’re going to be treating mom to a movie! I would sure love this prize. We love the movies! These are great ideas. We love going to the movies but it can be expensive. I always like to hit an early show so it’s cheaper. 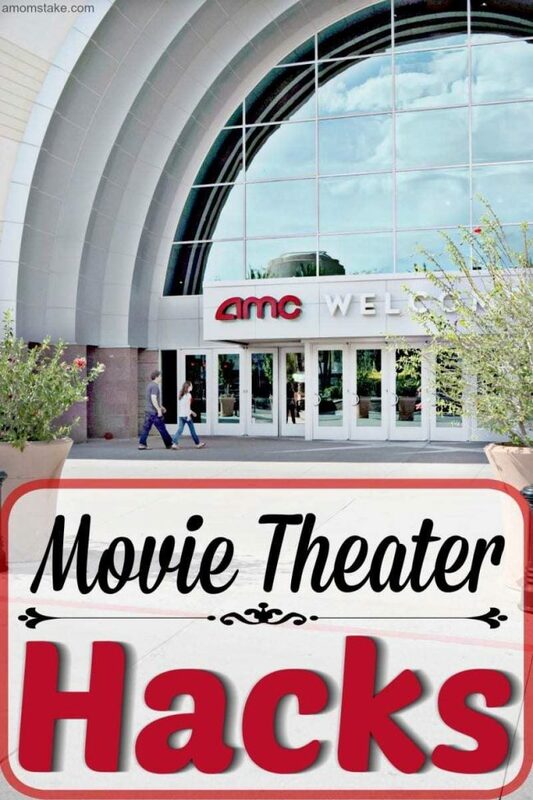 We have AMC theaters on Oahu! i never realized you could divide the popcorn and them actually let you!!! that is pretty awesome and i’m going to have to try it next time..because my son gets popcorn then never eats it, but then wants what’s in my lap HAHAH..there are so many different movies i want to see this summer! 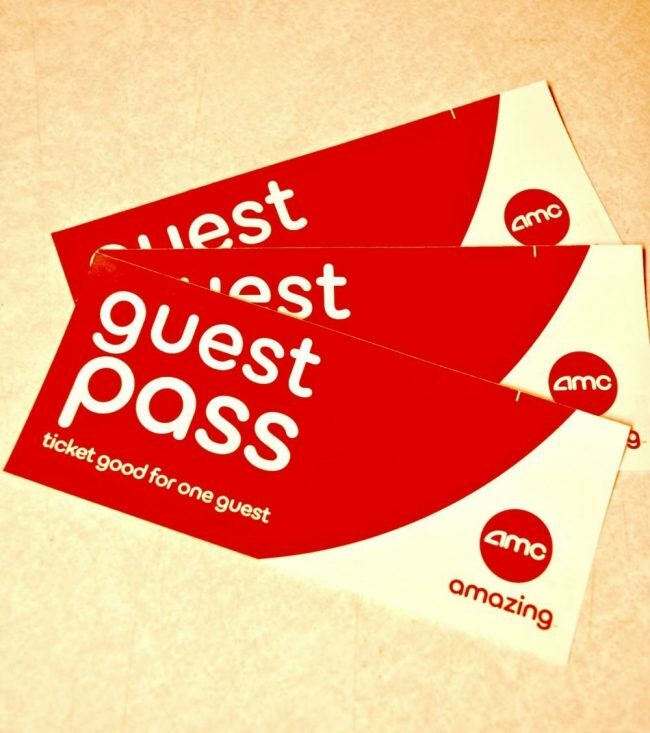 We love going to the movies and always look for promo codes before going.